City clerk Devon Reid at Monday’s City Council meeting. Reid disputed the council’s decision to suspend the local Freedom of Information Act database. City clerk Devon Reid challenged City Council’s decision to suspend the local Freedom of Information Act request database after Ald. Donald Wilson (4th) claimed it revealed confidential information. Even though aldermen promised no disruption in the handling of FOIA inquiries, Reid told The Daily Wednesday the suspension would cause a backlog of requests and inconvenience citizens. Reid and his staff are responsible for maintaining the NextRequest website, which Wilson said publicly disclosed the names of juvenile offenders and sexual assault survivors. At Monday’s meeting, Wilson proposed a temporary freeze in order to audit requests on the database. As of Monday, more than 1,000 requests had appeared on the website before they were removed. Council will discuss the possible designation of a new FOIA officer at the next Rules Committee meeting. 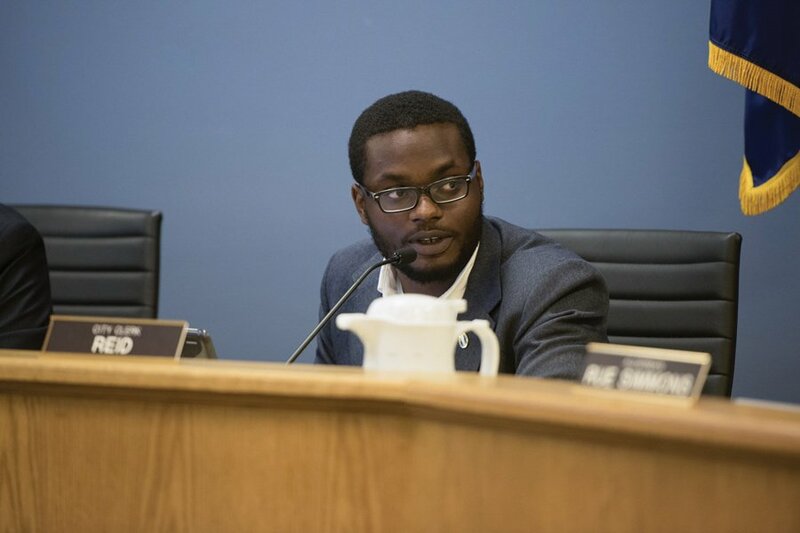 Though he did not clarify the situation in council, Reid said Wednesday that aldermen misrepresented both the number of names and the severity of the situation. Wilson told The Daily he stumbled upon the names of multiple juveniles and sexual assault survivors, but Reid pointed to just two examples — one of which had already been resolved. Reid said a police report request disclosing the name of a minor, Iain Bady, was justified after the parents spoke publically about their son’s arrest at City Council in August. The name of a sexual assault survivor did initially appear publicly on the database, Reid said, but has since been taken down. Wilson clarified to The Daily on Wednesday that he does not advocate for NextRequest’s complete overhaul. He said he only wants to stop publishing FOIA requests for police reports due to their sensitive nature. An email exchange between Wilson and Reid four days before Monday’s City Council meeting includes Wilson’s claim that “the name of at least one sexual assault victim and at least one juvenile remains present” on NextRequest. Wilson insisted he had “discussed this issue multiple times now” with Reid. Ald. Cicely Fleming (9th), who was also present at Monday’s meeting, said the FOIA database’s short-term suspension will likely not affect residents.